A review of the Internal Affairs Complaints and Investigations received during calendar year 2017 revealed there were two (2) complaints/investigations conducted by this police department. Both complaints/investigations involved one officer. Both investigations involved a single allegation of misconduct. During the calendar year of 2016 there were three (3) complaints and investigations. In 2015 there were three (3) complaints and investigations. In 2014 there were 3 (3) complaints and investigations. In 2013 there were five (5) and in 2012 there were zero (0) complaints investigated. The Richmond Heights Police Department handled 22,187 calls for service in 2017 as compared to 23,238 calls for service in 2016. This is a decrease of 1,051 calls, or 5%. A review of the Internal Affairs Complaints and Investigations received during calendar year 2015 revealed there were three (3) complaints/investigations conducted by this police department. Each complaint/investigation involved one officer. One investigation involved a single allegation of misconduct. One involved two allegations and the third involved 16 allegations of misconduct. It should be noted that this third complaint/investigation involved misconduct that occurred over a six year period ending in 2014 but was discovered in 2015. During the calendar year of 2014 there were three (3) complaints and investigations. In 2013 there were five (5) complaints and investigations. In 2012 there were zero (0) complaints investigated and in the calendar year of 2011 there were seven (7) complaints investigated. A review of the Internal Affairs Complaints and Investigations received during calendar year 2014 revealed there were three (3) complaints/investigations conducted by this police department that totaled four (4) allegations of officer misconduct. One of the complaints had (2) two officers involved. During the calendar year of 2013 there were (5) five complaints and investigations. In 2012 there were (0) zero complaints investigated and in the calendar year of 2011 there were seven (7) complaints investigated. The Richmond Heights Police Department handled 23,146 calls for service in 2014 as compared to 24,279 calls for service in 2013. This is a decrease of 1,133 calls for service than received in calendar year 2013. A review of the Internal Affairs Complaints and Investigations received during calendar year 2013 revealed there were five (5) complaints/investigations conducted by this police department that totaled eight (8) allegations of officer misconduct. One of the complaints had three (3) allegations of officer misconduct and another complaint had two (2) allegations of officer misconduct. During the calendar year of 2012 there were no (0) complaints and investigations. In 2011 there were seven (7) complaints investigated and in the calendar year of 2010 there were seven (7) complaints investigated also. The Richmond Heights Police Department handled 24,279 calls for service in 2013 as compared to 22,622 calls for service in 2012. This is an increase of 1,657 more calls for service than received in calendar year 2012. This small number of complaints received reflects a record of professionalism and exemplary service by the police officers of this department. A review of the Internal Affairs Complaints and Investigations received during calendar year 2012 revealed there were no investigations conducted by this police department. During the calendar year of 2011 there were seven (7) complaints and investigations. In 2010 there were seven (7) complaints and investigations investigated also. In the calendar year of 2009 there were three (3) complaints and investigations. 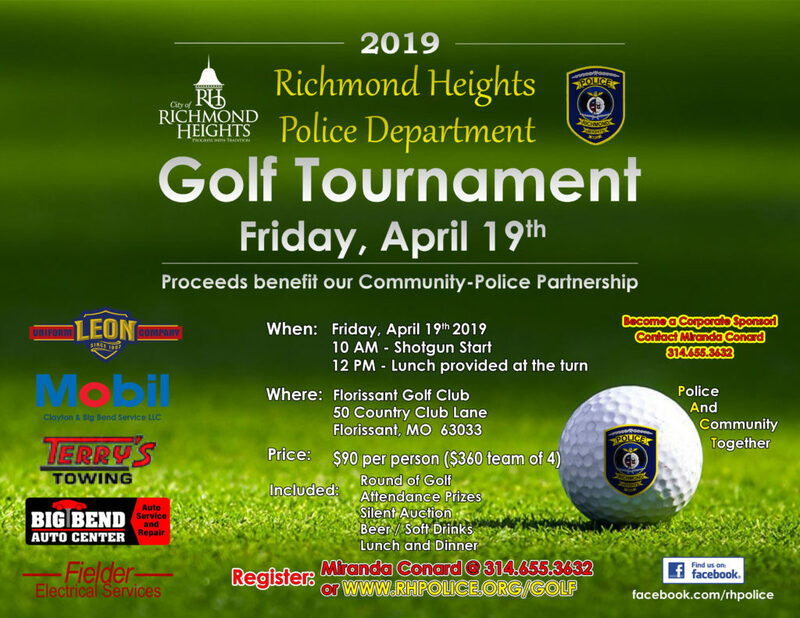 The Richmond Heights Police Department handled 22,622 calls for service in 2012 as compared to 22,363 calls for service in 2011. This is an increase of 259 more calls for service than received in calendar year 2011. Due to receiving no complaints and investigations concerning the members of the police department, this reflects a record of exemplary service by the police officers of this department.